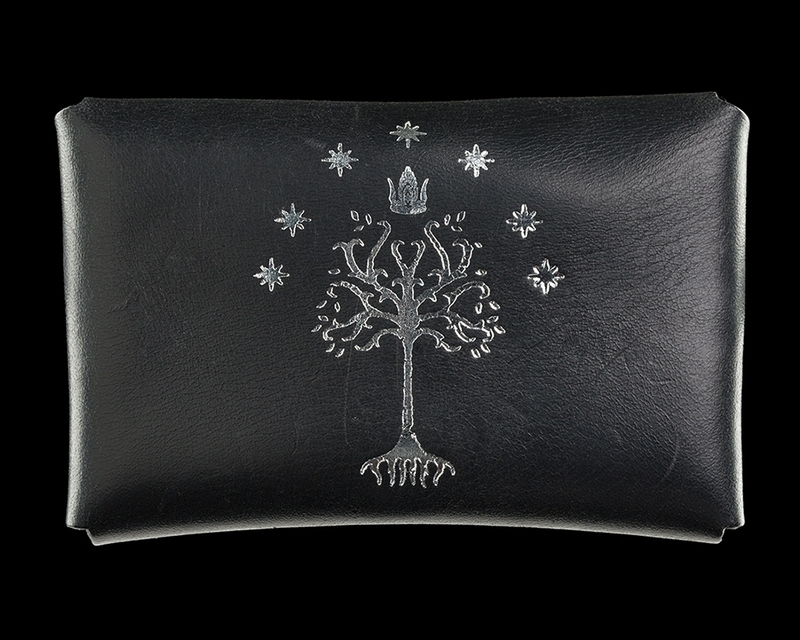 The White Tree of Gondor embossed and silver foiled on a one-piece black leather wallet. 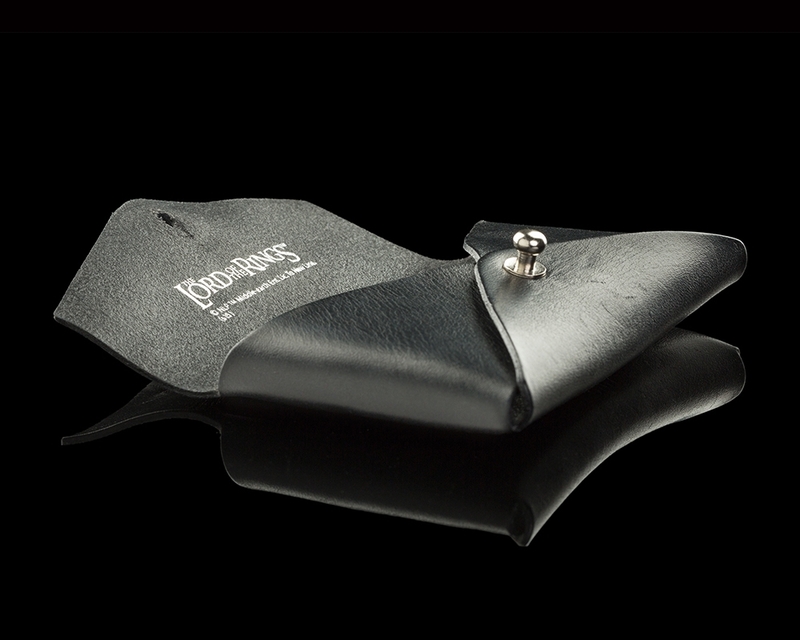 This exquisite accessory will last you a lifetime. 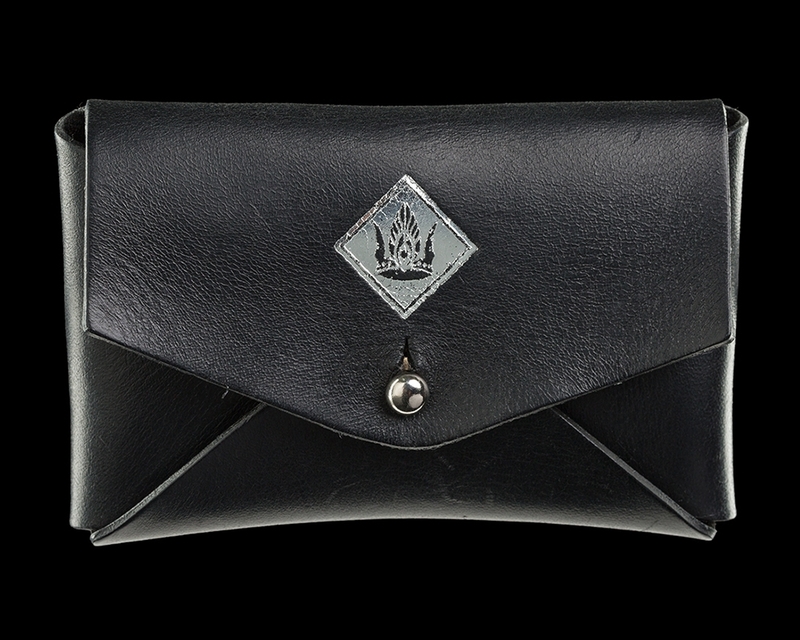 It was made by Meniscus in Wellington, New Zealand, from supple vegetable-tanned cowhide with a nickel pin for closure. This is a natural product with unique colour and texture variations.